Usually savings bond interest is tax-deferred until a bond is cashed. 1. Who Pays the Tax on Savings Bonds Held Jointly? 2. Is Savings Bond Interest Reported As Capital Gains or Income? U.S. savings bonds -- Series EE and I -- earn interest every month. The interest you earn is taxable, but you have some choices on when you can claim and pay taxes on it. Follow a few basic rules to ensure you report savings bond interest properly. If you make the same choice as most savings bond owners, taxes are deferred until you cash in a bond or the bond reaches final maturity 30 years after issue. When you redeem a bond, either the financial institution which cashed it or the U.S. Treasury will send out a Form 1099-INT listing the amount of interest you earned on the bond. The 1099 may be sent soon after you cash a bond or at the end of the year, when most financial institutions send out tax forms. The tax rules give you the option of reporting savings bond interest each year as it is earned. This is referred to as the accrual method of interest reporting. If you choose to declare and pay taxes each year on the your savings bond interest, you must do so for all of your savings bonds, and you cannot switch back to the deferred interest method. Savings bonds do not come with annual earnings statements, so you must use the savings bond value calculator on the TreasuryDirect.gov website to determine your annual interest earnings. Since savings bonds can have two co-owners, and many bonds are given as gifts, it is important to determine who will pay the taxes on savings bond interest. In the case of co-owners, if one of the owners paid for the bond, that owner pays the taxes. If the co-owners shared the cost of the savings bond, each declares half the interest and pays taxes on her half. If a savings bond was purchased and titled in another person's name as a gift, the individual listed as owner on the bond pays the tax. Interest earned on U.S. savings bonds is only taxable on your federal income return. The interest from U.S. government bonds, including savings bonds, is exempt from state income taxes. Make sure that any savings bond interest you report on your federal tax return is not included in your state taxable income. 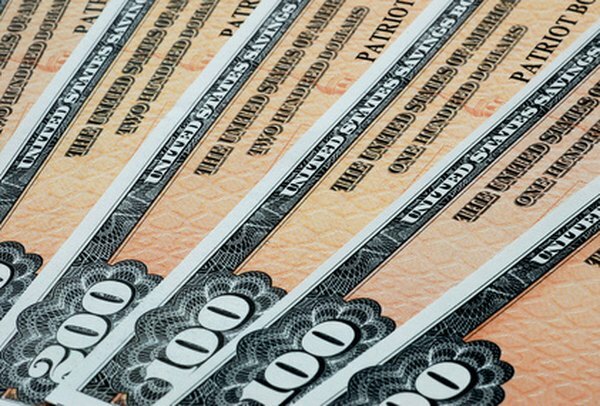 Can a Co-Owner of a US Savings Bond Give the Bond to Another Co-Owner? What Happens When Bonds Are Mature but Not Being Cashed In?